Applying the basic principles of Feng Shui at home can enhance your life. Curious about Feng Shui at home? 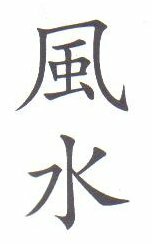 First, the Chinese characters represent wind (feng or fung) and water (shui, shei, shway or shwei). Feng Shui encompasses many aspects of life, but for simplification purposes, I will only touch on the parts that will help you relax at home. Feng Shui is the ancient Chinese art of organizing your environment to promote harmony with nature and to achieve a balance of energy between yourself and your surroundings. It started over 3,000 years ago in China and is still very important today. Chi. 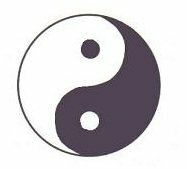 The most important concept in Feng Shui is an energy or force called chi, which is sometimes spelled Qi or Ki. You cannot see, feel or hear chi but you reap its effects. The physical location and surroundings of your house is a major factor in determining what kind of chi you get. Unfortunately, relocating is not an option for most people, so I will focus on what you can do with your existing home to improve the flow of positive energy. Your goal should be to maximize your positive chi (scheng chi) and reduce your negative chi (si chi) and harmful energy (sha chi) in order to improve your Feng Shui at home. By adding various elements or adding movement such as flowing water, you can adjust or improve your flow of chi, which increases the energy level of the room. You can also incorporate the properties of one or more of the five elements, which can help balance the energy affecting you and the other occupants of the space. Five Elements. Chi and Feng Shui are affected by wood, metal, earth, water and fire. These elements follow a hierarchy and are represented either by the shape or by the materials of various objects in your feng shui decor. Some elements don’t react well with each other, (i.e., water extinguishes fire), and the same holds true for the components and furniture in your home. The Phoenix is particularly important for people whose house faces south, the home of the red phoenix. This will bring good luck and good fortune, as long as the slope in front of your house is not too steep. The Dragon is located in the east. To benefit from the wisdom of the dragon, there should be hills east of your home to increase your good luck and hope. The White Tiger is located west of the home and this area should be flat to provide an equilibrium between excitement and bad luck. The Tortoise is located north of the home and represents private matters. To protect your private matters, the ground north of your house should slope towards the house. Chinese Compass. 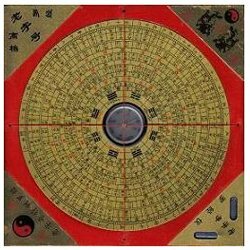 Also known as Luo Pan, this complex tool incorporates a compass and several key elements of Feng Shui. Don’t worry if you don’t have one. I’ll give you the basic information you need in order to improve your Feng Shui at home. Colors, Objects & Shapes. Generally speaking, choosing colors, objects and shapes is a question of personal taste. However, you may want to consider the effects of colors on Feng Shui. The placement of furniture and mirrors significantly affect the flow of energy. You want the energy flow to slow down in areas where you want to relax (bedroom, perhaps your living room) but you don’t want it to become stagnant. Adding a living element to your Feng Shui decor such as a plant or pets will give a little boost to your chi while adding large pieces of furniture slows down the flow of energy. Help! I’ve Got Bad Feng Shui! If you need a little help to improve the flow of chi in your home, here are 8 simple Feng Shui remedies to consider. Choosing the right shapes and colors will affect your life. For example, a water fountain can do wonders in improving your Feng Shui decor. Not only is the sound of water soothing, but the presence of moving water increases the flow of chi. However, you shouldn’t place a water fountain in your bedroom. A living room where you entertain would be a better choice. The sidebar included on this page contains links to other useful Feng Shui articles and one rule that holds true for Feng Shui and plain common sense is to first clean up the clutter in your home. Inquire about Feng shui consultations with Alan Stirling, a consultant with over 20 years experience.